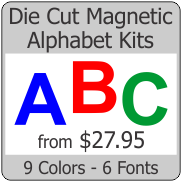 A special coating on this magnet allows you to mark it up with dry erase markers and then wipe the magnet clean. 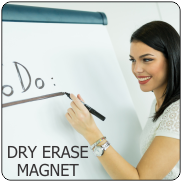 The dry erase white magnet face has a high gloss finish. Can be used as a marker board, scheduling board, job tracking chart or any other use where the information needs to be easy to change. Be sure to check out our dry erase rubber steel and dry erase 2 sided magnet dry erase / chalkboard products also.